This past weekend, I was at an old friend’s wedding. It was a wonderful night, replete with love and laughter and incredibly articulate and moving speeches. I got to wear a dress, which was fun, and I attempted to wear a pair of sandals I bought back when I was working in an office, which was not. MY SANDALS NO LONGER FIT ME. After 3 years of working very hard to get my feet to be foot-shaped again, wearing an old pair of shoes really blew my mind. They were about a centimeter too short and the strap barely covered my little toe. Not to mention squashing it completely. Poor little toes, I lasted about 5 minutes before I lost the sandals and spent the rest of the night in bare feet. These shoes used to fit, though, for real. Or at least, what I used to think ‘fitting’ meant. First lesson: Always try on your entire outfit before you pack it. Second lesson: All my hard work is paying off! My feet are changing! Third lesson: If you want to keep your feet happy, buy shoes that are foot-shaped! Trees are shaped by the wind. 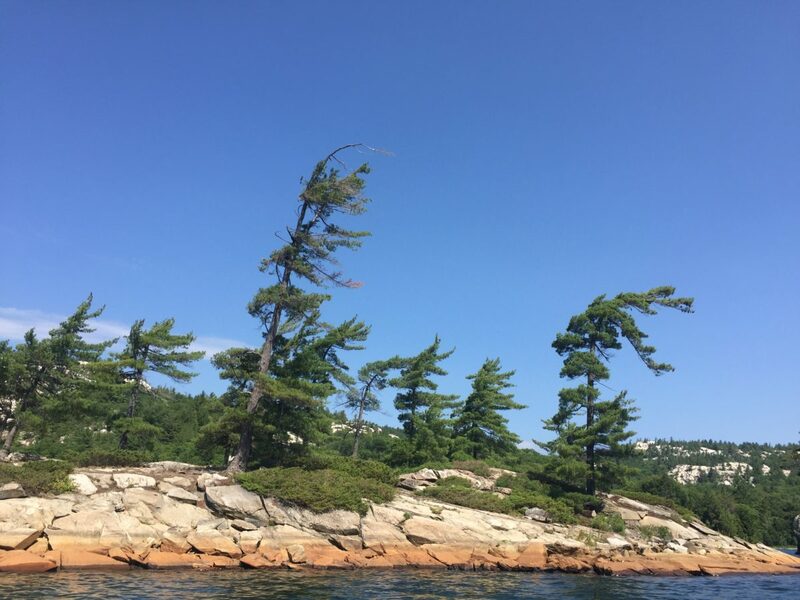 If you’ve ever seen trees by a windy shore, you’ll notice that they permanently look like they’re being blown in the same direction as the prevailing winds. Those trees (just like every other tree) have literally been shaped by their environment. The force of the wind has caused their trunks to form at crazy angles, their branches to sweep back, and myriad other changes that allow the trees to survive and thrive. You are also shaped by your environment. Just like the trees, your environment shapes your body. And feet are probably the easiest place to see that happening. This foot has been wearing shoes with raised heels and narrow boxes for a long time. It’s responded to the mechanical forces by reshaping itself to reinforce the bits that need reinforcing, shortening, widening, and just generally adapting to the forces that have been applied to it. Which is actually completely AMAZING. Except of course that this sort of thing ends up being painful. Some shapes are more what you want than others. I prefer recommend that are actually foot-shaped, because that’s what’s going to help your feet stay that way! So I thought I’d share this super easy way to test your shoes and see how they’re affecting your feet! Try this easy test to see how YOUR shoe environment is shaping you. Step One: Grab a couple pieces of paper, a sharpie and a friend. Get them to draw the outline of your feet for you. Step Two: Compare the outline of your feet with your shoes. If the outline is bigger than your shoes, it means they are squashing your feet and your feet are ADAPTING to it. Which means stuff like bunions, neuromas and poor circulation. Not awesome. What I discovered from wearing my sandals to the wedding is that my feet have widened. When I did the foot-outline test, it proved what I already knew – the outline of my foot was bigger than the outline of my sandals. My feet have adapted to my barefoot, minimal shoes, high levels of barefoot time, and my hard work mobilizing and strengthening my feet. Which is amazing, but it clearly means that I need some new shoes before the next fancy wedding I go to! What did you discover? I’d love to hear what you found in the comments below! So true — but I hope you’re going to follow up with some recommendations for what to wear when barefoot is not an option! I constantly have feet pain. I thought they were starting to deform from arthritis. Maybe I just need to look at my shoes. Thank you for making me think about this. So true. Be prepared for a new shoe wardrobe. Love my new shoes. Hello Petra! Thank you so much for this guide. I have started my minimal footwear journey after 20 years with orthotics. While following the orthotic regimen I have developed a bunion. At 31 years old, I said enough is enough! Enough about that, having lived in Toronto and now in Windsor I know what you mean about winters and winter boots. What do you think about these https://store.manitobah.com/?gclid=EAIaIQobChMIk-_C-MiH1gIV2UwNCh14GgyjEAAYASAAEgLXYvD_BwE? Also, my husband and I went back to our rock gym after a 10 month break and after Correct Toes and minimal shoes we are dying in our rock shoes. What do you wear at your rock gym? Do you have any suggestions? Hi Jocelyne – I’m so sorry for the slow reply – we’ve been renovating and it’s been nuts. First, hooray for you! It’s really exciting and there’s so much amazing change we can make with our feet! Re: climbing shoes – the worst, right?? I bought the widest, largest pair I could wear without being absurd, and I don’t lace them at the front. It’s ok but not great. However, I tried climbing in five fingers for a while and they were so slippery that I decided I’d prefer to wear real climbing shoes. My goal someday is to climb more outside and be able to climb barefoot, but that’s probably a lot time away! 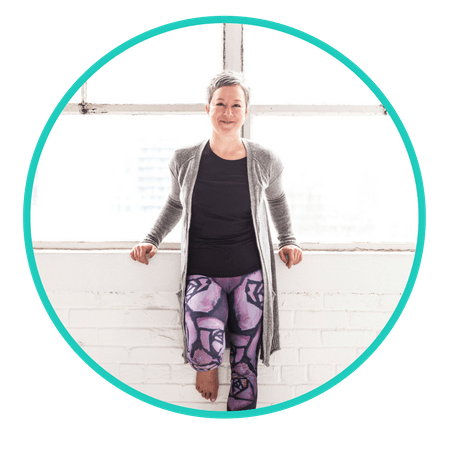 I reason that this is my movement dessert – the rest of the time my feet are bare or in minimal shoes and I do lots of good stuff for them, so it’s a choice I’m ok with making. Do you mean the mukluks? Those look ok to me (and I think some people do use them as a transition), but it’s hard to tell for sure without looking at the shoe/boot. You need to see if the toe box is narrower than your foot shape – that’s a no-no. These ones definitely look narrow to me. And see how flexible the sole is. and assess if there’s a rise at the heel – if there is on this, I think it’s small. Winter boots are really hard to find in totally minimal, so then you have to consider what you’re ok with and what’s not ok. It’s an art not a science, alas! I hope this helps, and you’re welcome!